Kindly check my entry #113 and let me know if there any changes are required . Oh!!! also could you spell the name out all the way? 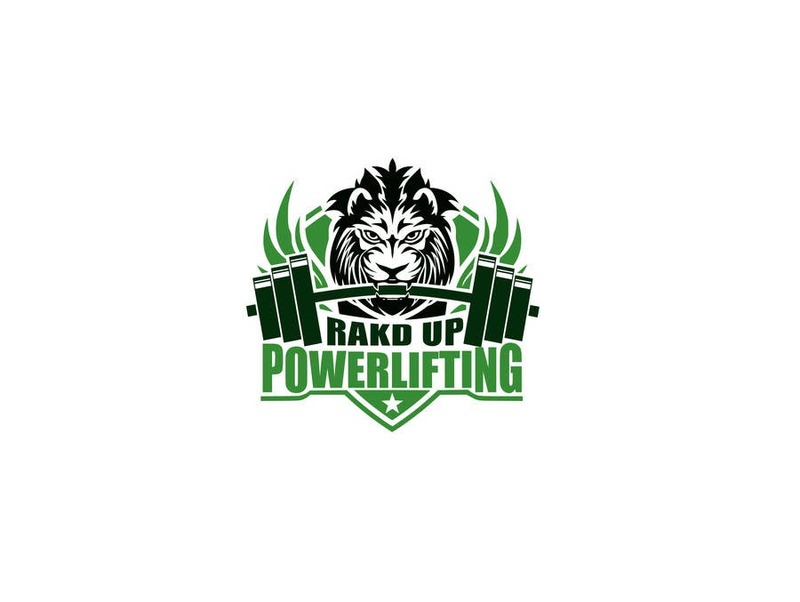 Instead of RAKD UP POWERLIFTING, could you spell it out as RACKED UP POWERLIFITING. Hi! we really like your logo. We were wondering if you could make a few adjustments. Would it be possible to find a different Lion picture to replace this one. This one looks a little more like a wolf to us. We would like to see a more fierce lion. Also could you extend the length of the barbell, make the weights all the same size as the weight you have here closes to the lion's mouth. we like that size and would want them to be all the same size, and if you could put 5-7 weights on each side. You are the designer and we are sure you could figure it out. We would likt the name to stay the same, just make it the same length of the bar which we would like extended. Hi, Thank you so much for the ratings and the great feedback, i'm realy glad that you like my work, I will submit the modified version soon thanks.